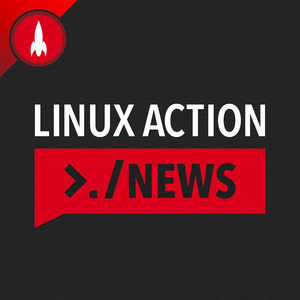 We found 10 episodes of Linux Action News with the tag “linux action show”. We start with good news, fun speculation, and an open source success story. Then we get into Meltdown and Spectre. Chris and Joe look back at the big news stories of 2017, some notable trends, the changes that impacted Desktop Linux users, and the topics that dominated the community discussion. Mozilla violates users' trust, Amazon has a new Linux, OpenSSH is coming to Windows, and Intel blocks disabling of the Management Engine. Plus an update on the Conservancy's fight with the Software Freedom Law Center and more. The Ghost of Yahoo and Mozilla go to battle, the right way to abandon a project, the coming UK Bitcoin crackdown, and Android GO is released to OEMs. Bitcoin breaks $10k and we ponder its true value, big companies join the compliance-first approach to GPLv2, we spot some red flags in the latest Raspbian x86 release, and Mozilla has a new open source project. Fedora goes modular, Firefox makes a quantum leap, and a Linux classic makes a come back. Plus a big moment for the Kernel, Red Hat goes ARM, and OpenPlus has a backdoor with a twist. Linux on Galaxy phones is further along than expected, Bitcoin's bad week explained, and CrossOver enables Windows apps, on ChromeOS. The Plasma Mobile project sets humble goals, Firefox learns new tricks, a TOR flaw for Linux users, and Canonical joins the Gnome Advisory Board. Plus a new report claims every Bitcoin transaction uses as much energy as your house in a week, and two legal matters that may have long-term impacts on the Linux community.